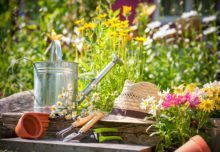 Plantscape has developed a new nursery site in Yorkshire in response to rising demand for its self-watering planters and hanging baskets by towns, cities, In Bloom groups and BID organisations across the UK. The new 10,000 sq ft facility in York will enable the company to produce another 1,200 planters a year. 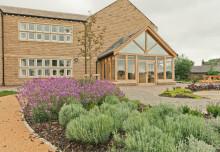 Its current 100,000 sq ft nursery complex in Derbyshire grows plants for 12,500 planters. 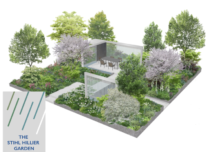 The new site, which consists of a large greenhouse and five polytunnels, will be used to service some of Plantscape’s contracts in the north and Scotland including historic walled cities York and Chester. Plantscape has also just won a new summertime floral contract with Oban Business Improvement District in Scotland which has been successfully using the company’s solar powered Christmas trees for the past three winters. BID4Oban has ordered 260 holestars, for use on walls and lampposts, which will be installed in May. The town is optimistic that the summer floral display will have a similar positive impact on footfall and the local economy as the yuletide decorations. Plantscape decorated Chester’s famous medieval rows with more than a hundred window boxes, barrier baskets and planters filled with purple blooms to mark the city’s Purple Flag status in 2018. 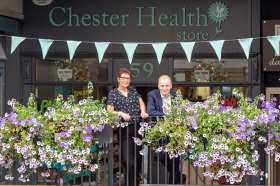 It was the second year that its BID team, CH1ChesterBID, had appointed Plantscape to grow, supply and maintain their blooms. Last summer also saw York appoint Plantscape to install 140 planters, flower towers and holestar baskets across the city centre. The planters, the first co-ordinated floral scheme the city has had in a decade, were planted with trailing begonias, petunia, surfinias and geraniums in pinks, purple, yellows and reds. The Plantscape nursery team in York will begin planting up around 11,000 plug plants, including fuchsias, surfinia, petunias, begonias, verbena, bacopa, nepeta and geranium, in April, while the Egginton team plant up 118,000. The 14,000 planters will be distributed to well over a hundred councils, universities, Business Improvement Districts, retail parks and In Bloom groups across the UK in May and June.